The Army veteran (1975-77) has been the team's bus driver since 1995. 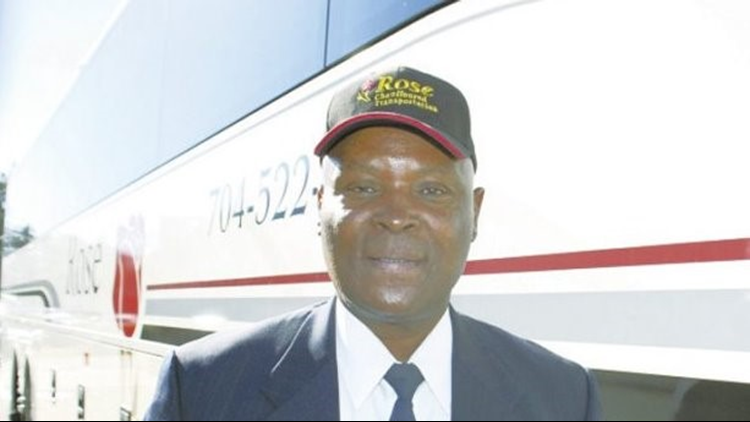 Gary Roseborough, the bus driver of the Carolina Panthers is retiring. In an interview with the Salisbury Post, he revealed he his retiring due to health reasons. Roseborough’s driving career spanned 45 years and took him on trips all across the United States and into Canada. On serval occasions he would drive players, coaches back and forth to the airport and even help drive employees from the parking lot to the stadium on game days. Most recently, Roseborough was recognized for his long safe-driving record and was named Rose Chauffeured Transportation “Ambassador of the Year” in 2018. Roseborough told the Salisbury Post the Panthers are still on the lookout for him saying they'll make certain he gets to Panther games in seasons ahead. Roseborough will be receiving treatment at the Hefner VA Medical Center in Salisbury.